Camera Bags are likely one of the first photography accessories that a photographer will find a need for. As in most photography equipment and accessories, it is easy to be overwhelmed. A camera bag search on Adorama gets 2149 results. An Amazon camera bag search produces over 50,000 results. 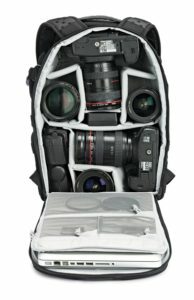 That is a lot of choices just for camera bags. It can start to become overwhelming real quick. Here are a few things to consider when looking for a bag for your camera. A beginner photographer generally will start out with a basic bag to hold the camera and a few accessories. Though you will soon find out that this will do more damage than good. 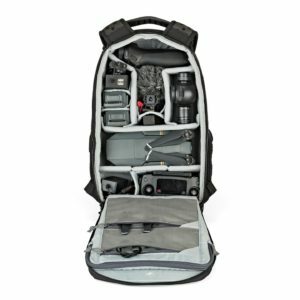 A good entry-level camera bag will have dividers to separate gear, as well as some zippered storage compartments, side pouches, and a mesh compartment or two. Ideally, accommodation for a tripod is something to consider. Amazon Basics offers a very good bag to fill that niche. In most cases, a photographer will have different bags or cases for different situations. This is the beauty of having multiple camera bags. Multiple bags also quickly become a necessity when you start to acquire more camera gear. For example, I personally find one bag may be suitable for general use, however, I have alternatives for hiking, traveling through airports, travel by car, etc. As a Canon user, I use The Canon 1-EG. 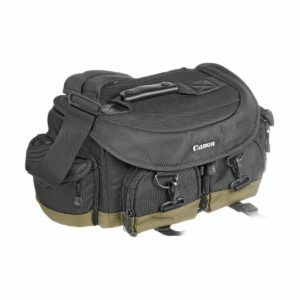 Priced at $74.95 (at time of publication,) Canon’s Professional Gadget Bag 1-EG is a large waterproof gadget bag. 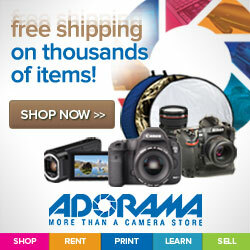 It is available HERE at Adorama. 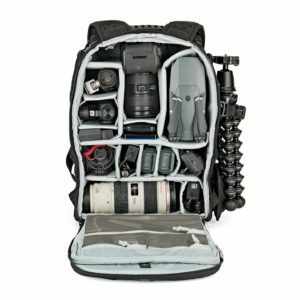 This bag is can hold two DSLR camera bodies, and multiple lenses, flash, and accessories. 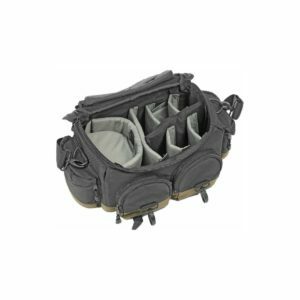 This bag is well padded, including the outside pockets and has a good selection of dividers. 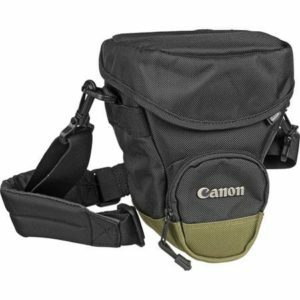 The Canon 1-EG is a great bag for casual to semi-pro photographers, it offers good protection and gear is easily accessed. It is very well constructed and lightweight, and of course, if you are a Canon user, the Canon logo is pretty nice. Lowepro Nova 200 AW II is a similar bag if the Canon logo is an issue. 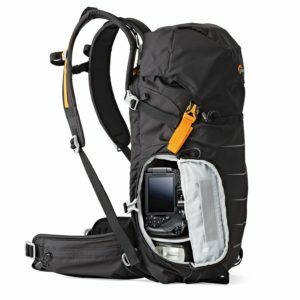 There is a great video of the Lowepro at Adorama that gives a great perspective of this product. The Lowepro is very similar to the Canon in capacity and features and offers premium weather protection. For traveling, the Lowepro Slingshot 202 DSLR Sling Camera Bag or the Amazon Basics version do a great job for basic travel photography needs. These bags are great for traveling through airports, sightseeing, road tripping, or just enjoying an urban hike or nature walk. The 200 is suitable for smaller cameras such as the Rebel Series or mirrorless cameras, while the 300 is more suitable for larger DSLR cameras. Both backpacks have a great suspension system for active outdoor use, and the available space for a hydration bladder make these an excellent choice for outdoor enthusiasts. The two models both have a built-in rain cover to add to protection from the elements. Some photographers feel that having a hydration system can be problematic. They feel having water in the backpack that is holding the equipment that they have invested thousands of dollars in is not something they want to consider. (Of course, that is just their opinion, personally I feel comfortable with the design and engineering.) 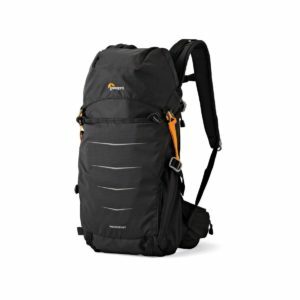 Lowepro backpacks come in an amazing array of choices and most do not have hydration capability. The ProTactic Series backpacks by Lowepro come in three sizes. The 350 model will hold 2 DSLR cameras as well as a laptop. 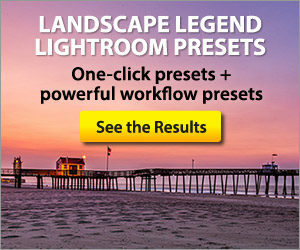 This is important when you need to edit some images quickly after your shoot. The 450 is designed for the professional photographer with a very large capacity for gear. A holster is a handy way to carry a camera if you are just out and want to protect it from the elements. Holsters, as with all camera bags, come in various sizes to accommodate different needs. I like the Canon Zoom Pack 1000 Holster Style Bag for this purpose. It handles my Canon 7d and 16-35mm f4L IS zoom nicely. A similar non-Canon version is available from Amazon Basics. The last topic this article will cover is hard shell cases. 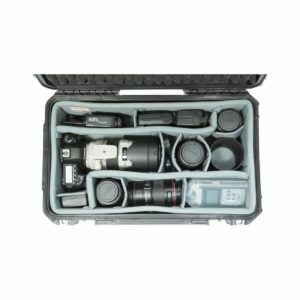 Hardshell cases are a good idea if you do a lot of traveling and need to have all of your gear along, as is the case with most professional photographers. These cases are watertight, durable, and will hold up to airline abuse. Hard shell cases are a great investment to ensure that your gear is well taken cared of while traveling. 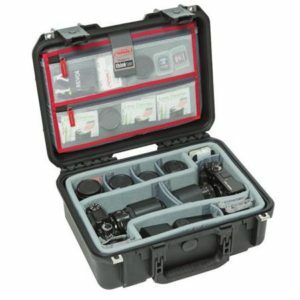 SKB Cases are available at Adorama in many variations and sizes to accommodate different needs. As you can see, there are a lot of choices for photography accessories camera bags & cases. This article touches on recommendations for high-quality options to handle your camera equipment needs in various situations. Hopefully, this article has helped to narrow the field. Previous Article: What Is A Grey Market Camera? 1 response to "Beginner Photography Accessories – Camera Bags"